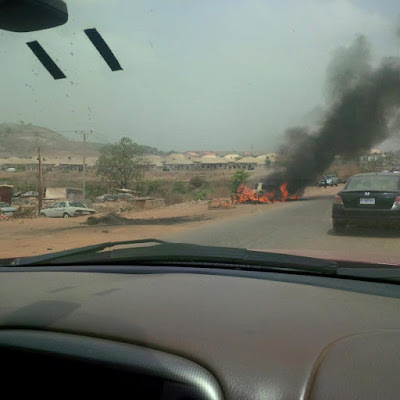 A young man identified as Ikechukwu Anigbo was reportedly killed and burnt to death over the weekend around a relaxation centre in Apo Mechanic Village, Abuja. According to reports, the 32-year-old barber from Aku, Enugu State took a bike and argument ensued between him and the motorcycyclist when he paid. The man insisted his money is N60 instead of N50. It was alleged that attracted his colleagues to the scene by shouting “thief”. The mob gathered and started beating Ikechukwu after which they set him ablaze. Speaking to Daily Trust, a friend of the deceased, Chukwudi Orji said he learnt about Ikechuwu’s death when he got home at about 11p.m. “I saw the fire, but I did not know that someone was inside. There was smoke everywhere; there was no way you would have known that there was someone in the fire, except you were there or somebody told you about it,” he said. “If I had known about it on time, I would have tried to save him because he was innocent,” he added. “A similar thing happened in Kabusa, when a boy was stabbed because of change. Another man was killed on Wumba road. The same change issue led to the death of a man in Damagaza. In his case, after he was killed, they kept him near a river until the next day,” he said. 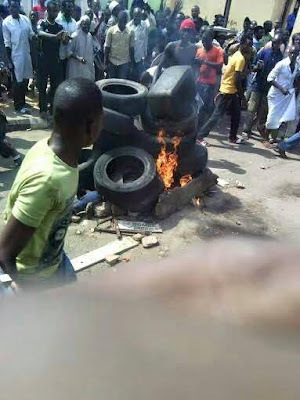 Chukwudike said the last time such an incident occurred in the area, the traders protested and that it took the intervention of riot policemen to bring the situation under control. Azeez Akinola, Anigbo’s boss at the barbershop, corroborated Chukwudike story, saying the attitude of motorcyclists in the area is a cause for concern. 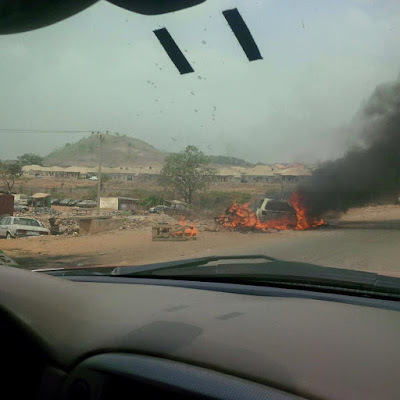 Akinola who lives around the area where the late Anigbo lived, said he and two other people rushed out of their houses when they received news of the incident, but that the motorcyclists at Kabusa junction refused to take them to the scene. “I could not believe it. There were heaps of iron treads from the burnt tyres on his body,” Akinola said amidst tears. “He was very gentle,” Akinola continued.” If small wound touch am, he go treat am for more than one week. I.K. can’t ride a bicycle, talk less of motorcycle. Because of fear, he refused to learn driving despite the fact that they were many people around to teach him,” he said. Manzah said the FCT Commissioner of Police, Wilson Inalegwu, warned people of the area to desist from violence at the wake of the disagreement and promptly deployed police officers to the scene. 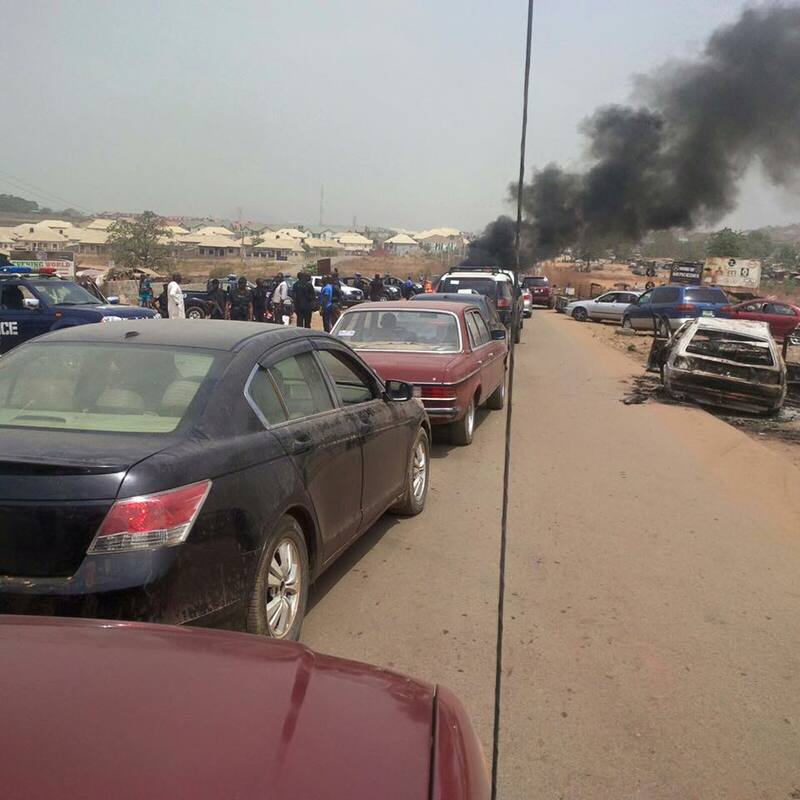 The commissioner assured residents of the area and other parts of FCT that adequate measures have been deployed to contain the situation, investigate and unravel the remote and underlying issues behind the upheaval. He reiterated that any attempt to jeopardise the existing peaceful and serene atmosphere in the Federal Capital Territory will not be tolerated. Though normalcy has returned to the area, the relative peace enjoyed may not last for long if a lasting solution is not proffered. Chukwudike said government should stop motorcyclists from arming themselves with daggers.